When it comes to Certificate of Use Inspections services, availing of the services that professionals can provide is recommended. Compared to those from other companies, the quality of their CU services is a notch above. To be issued a permit to start construction while ensuring that you're abiding by applicable laws in your region, expert CU inspectors are the people to approach. At COU Miami - Certificate of Use Inspections, we can offer professional services for competitive rates. With professional Certificate of Use Inspections services, you can ensure that a building will be well-evaluated. Instead of merely issuing you a CU, which grants you the permission to pursue construction plans, you can guarantee that your property is safe for commercial and residential use. Additionally, with expert inspections, you can expect high resale value for your property. Should you invest in Certificate of Use Inspections services from professionals, you are given the assurance that the CU inspectors working on your case are trustworthy. When providing assessments for your building, the task will be accomplished thoroughly. Should they spot a possible flaw in your building's design, the professional CU inspectors won't divulge short-sighted discussions, but instead, assist and pitch in suggestions for the improvement of a concept. Should you set an appointment for consultations, they will meet with you on time. Moreover, once CU experts granted approval to proceed with the construction within your property, you can be confident to establish a foundation. Along with a CU Inspections document, our professional services involve the presentation of a Disclosure of Findings. We, at COU Miami, are collaborating with the Department of Planning and Zoning or DP and Z. Before issuing you a zoning permit, we compile a report for the higher authority to review; it informs us, as well as other relevant departments if our own findings is either approved or rejected. Should there be any, violations of sorts will be addressed, then, subjected for modifications for the CU application process to be approved. 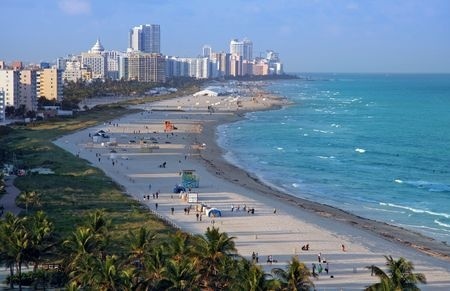 At COU Miami - Certificate of Use Inspections, we work in accordance to Miami-Dade County's land use regulations. Particularly, we adhere to Ordinance 08 - 133 that is meant for the protection of the residents in the region. This means that we won't allow you to deal with consequences of sorts as you develop your construction plan. With the services of professional Certificate of Use inspectors, you can guarantee that the construction within your property will proceed as desired. Not only will you be granted permission, you'll also be entitled to expert opinions. Should there be minor and major faults to your proposed building, suggestions will be relayed for necessary changes to be applied. Compared to working with a company that can only offer average quality, you can benefit from our professional inspections services since we are licensed and insured in Florida. Other than that, we have been in the CU industry since 2009. At COU Miami, we'll provide reliable, first-rate Certificate of Use Inspections services.